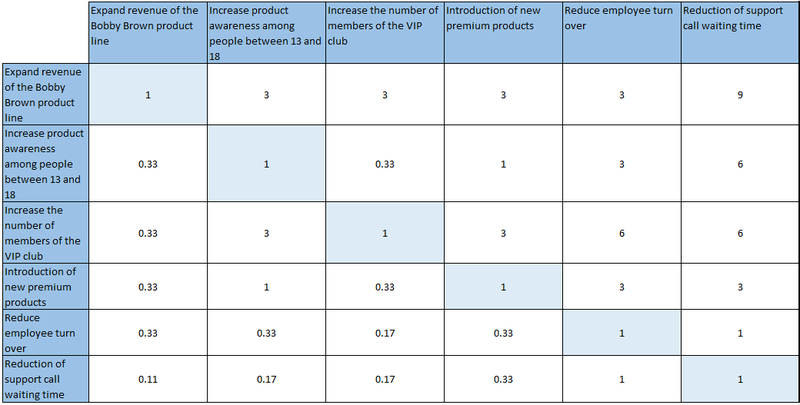 As part of a series of articles I wrote on Portfolio Analysis within Microsoft Project Server 2013, there is another topic I was interested to understand. How Microsoft Project Server calculate business drivers prioritization. 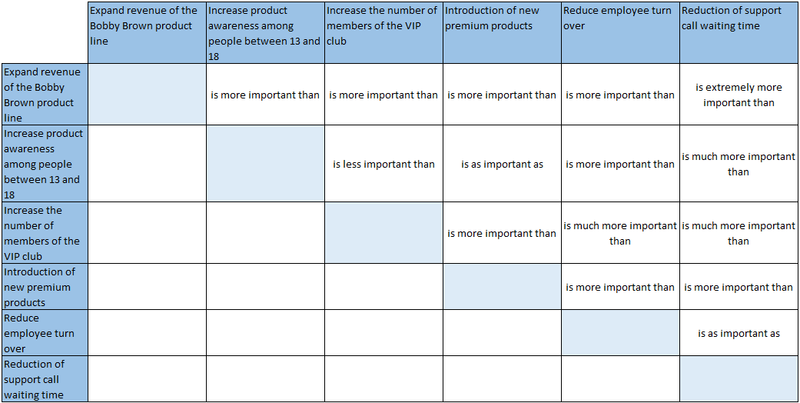 And a “Manual” method where users specify priority values for each driver directly. 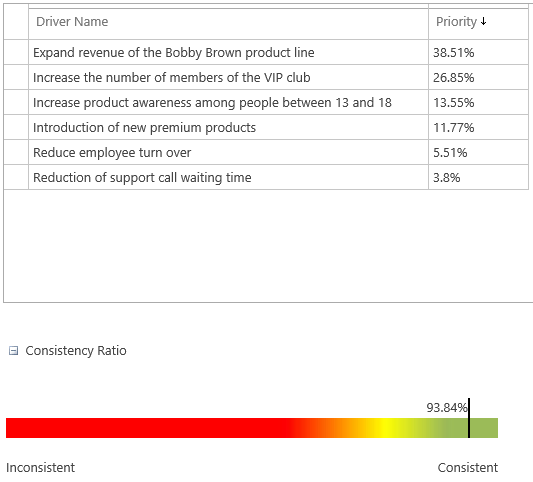 To weight the drivers and define priority, the Analytic Hierarchy Process (or AHP) can be used. Its principle is to first decompose decisional problems into a hierarchy of more easily comprehended sub-problems, each of which can be analysed independently. They are symmetric, 3 above “Is as important as” and 3 below. This means that if a driver A “is extremely more important than” a Driver B, then the Driver B “is extremely less important than” the Driver A. Of course, the driver A “is as important as” the Driver A J. 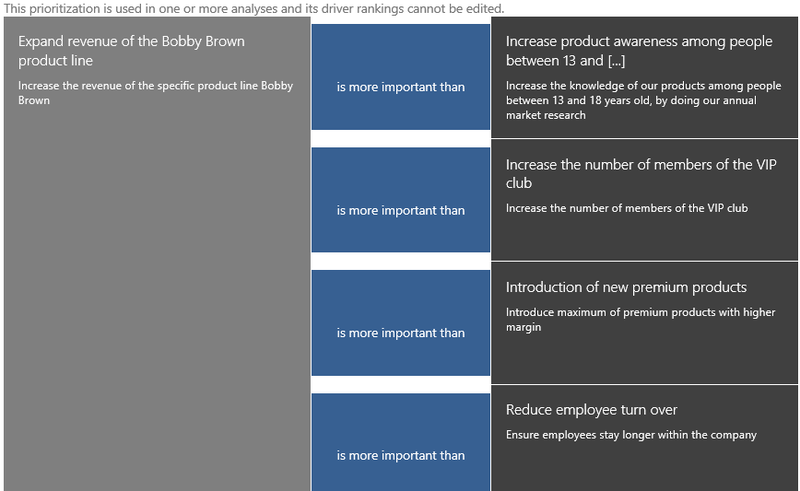 Now is the key question, how to replace sentences such as “is as important as” by numbers, we can use to calculate the priority of each drivers. Next steps is to simply replace text by values. Better option is to find either an online application to calculate them, like http://comnuan.com/cmnn01002/, or find Excel add in (I found an article on MrExcel.com where this tool is mentioned http://digilander.libero.it/foxes/SoftwareDownload.htm). The system then normalize the eigenvectors. It calculates the sum of eigenvectors, each of them will be divided by this sum to normalize them and get the business driver priority. (E.g. Driver 1 => 0.89687/2.32503 = 38.57%).